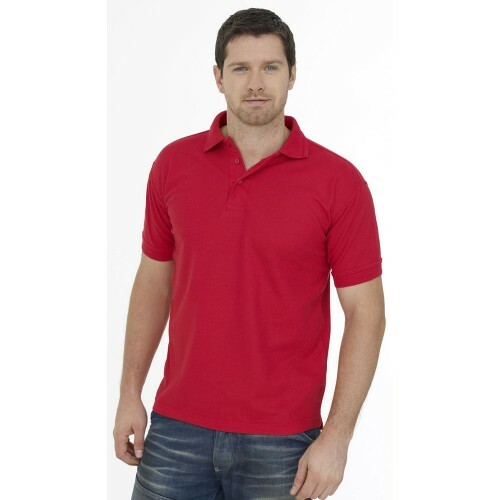 250 gsm 50/50 Cotton/Polyester Premium Polo Shirts with Knitted Collar & Cuffs, 3 Self Coloured Button. Can be embroidered with your club or team logos. Bottle Green, Black, Heather Grey, Maroon, Navy, Red, Royal, Sky, White and Yellow.